This evening I received some images and short write up from Stuart Wade, our 13th participant on the list. 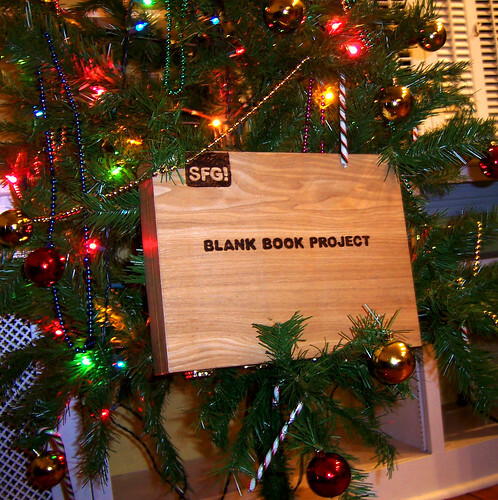 I especially like how Stuart somehow was able to hang the Blank Book Box on a Christmas Tree. Great shot Stuart. 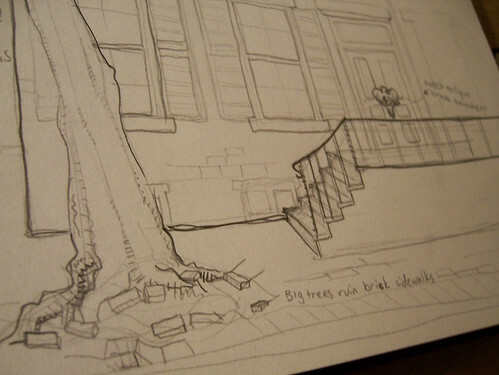 Below is the teaser shot of Stuart's illustration. Historic Downtown West Chester is almost entirely constructed of bricks. The trees in downtown West Chester are doing their best to change that. The book is now in the hands of Saul Rosenbaum and he has already posted some shots of the BBP Shipping box to his blog, which you can check out by clicking here.